Apple Magic Keyboard British English UK. 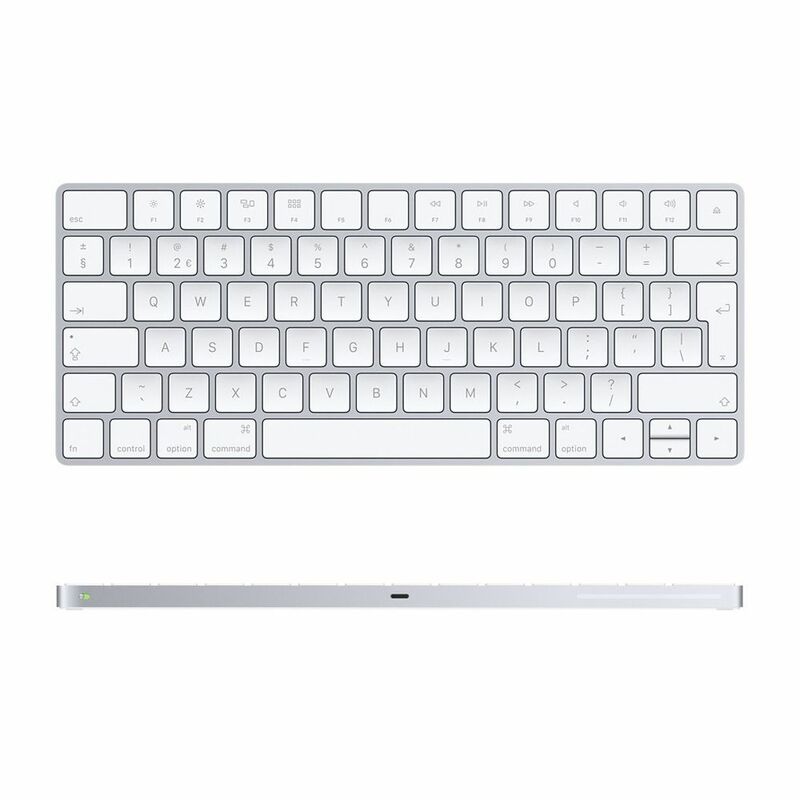 The Apple Magic Keyboard is slim, lightweight and has a built-in rechargeable battery which should last up to a month between charges. This product is new and sealed. All serial number(s) are recorded before shipping. These keyboards are new and unused. They have been bulk packed and so may have light scratching on the underneath, but nothing noticeable.